Living in Sydney, I thought it was about time I added a photo of this beautiful city to my collection. 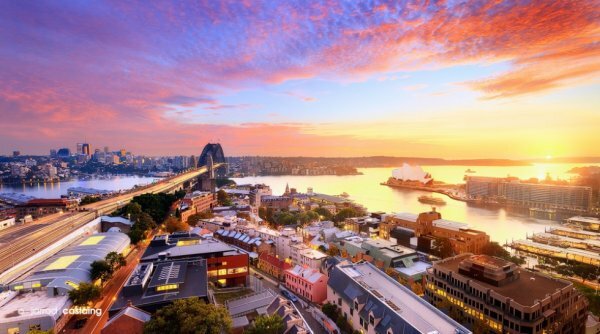 This classic view of Sydney Harbour is shared by the Four Seasons and Shangri-La Hotels. Buy a Print Photography Workshops Fine Art Gallery Facebook Flickr © Jarrod Castaing Fine Art Photography. All rights reserved. All images are exclusive property and may not be copied, downloaded, reproduced, transmitted, manipulated or used in any way without expressed, written permission of the photographer. Please contact me for photo licensing or view my fine art landscape photography and limited edition prints from USA, UK, Australia and more.